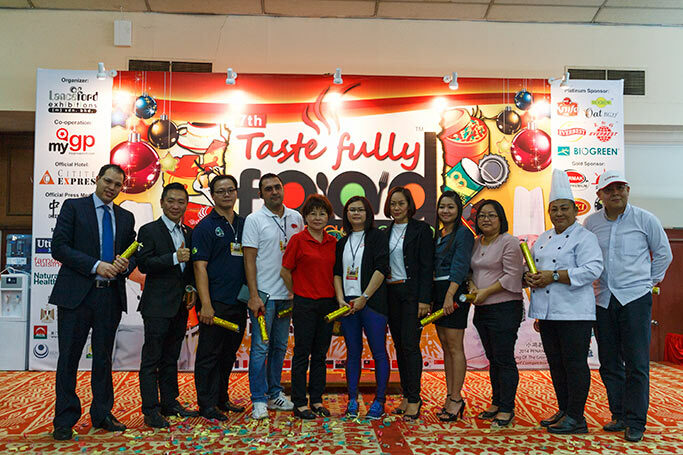 The 7th Taste Fully Food & Beverage Expo 2014 is coming to town again! 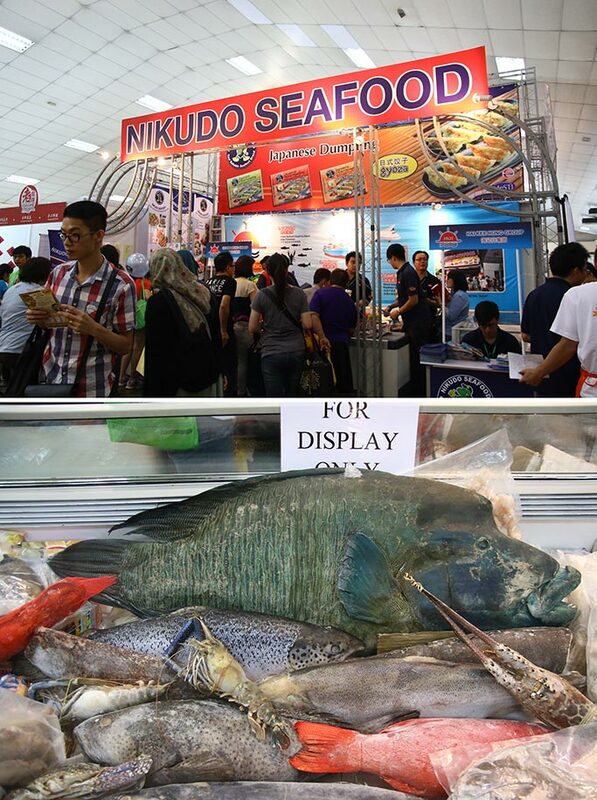 This largerst Food & Beverage Expo in Malaysia is held in Putra World Trade Centre (PWTC Kuala Lumpur) hall 2 from 19th till 21st December 2014, 10am-8pm. Go creative and research for more gimmick dessert, you will be surprise with different sweet treats offered in each part of the world. Schneeballen from Germany has recently came into Malaysia, currently available at special Christmas kiosk in major shopping malls including KLCC, BSC and The Mines. Appear in the shape and size similar to rattan ball, this biscuit base dessert is crunchy, coated with flaked almond, dark chocolate, white chocolate, chocolate chips, roasted nut or strawberry chocolate for extra flavours. 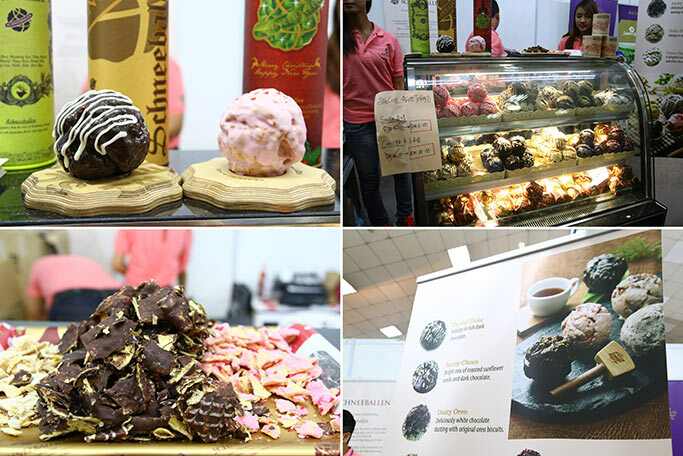 Schneeballen will be opening in Nu Sentral, KL Sentral in March 2015. 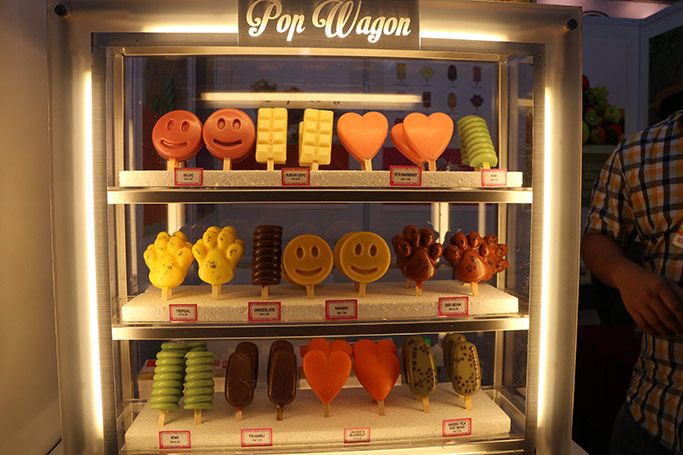 Pop Wagon is one of our favourite stalls in Taste Fully F&B Expo. 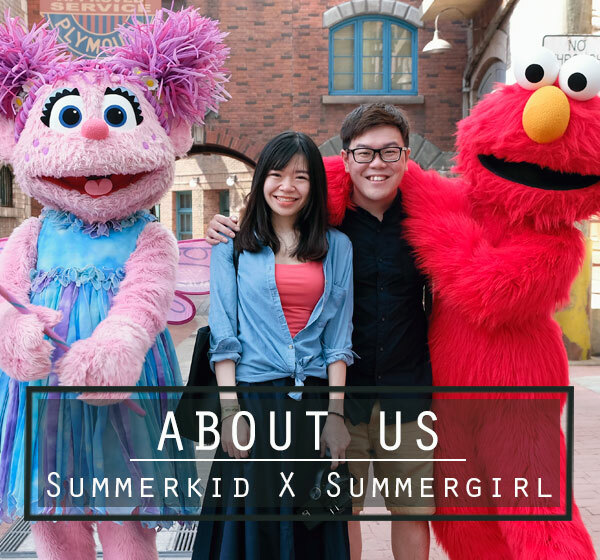 The booth is lined up with colourful, adorable popsicle ice-cream made from fresh fruit, with wide choices of flavours available such as mango, durian, green tea, grape, strawberry,’chocolate, kiwi, red bean, tiramisu and more! Each stick is priced from RM7.00. Pop Wagon also supplies popsicles to many cafes and restaurants around the town. Look for contact below if you need any business enquiries for Pop Wagon. 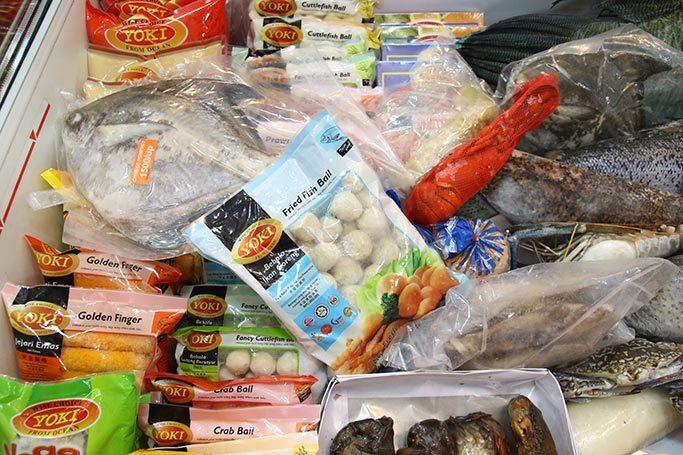 Nikudo Seafood, the leader in all kind of processed frozen food supplies wide range of products from Premium Prawn Ball, Premium Cuttlefish Ball, Japanese Style Octopus Ball, Deep Fried Prawn, Premium Prawn Roll,Thai Fish Cake, Taro Fish Ball, Curry Stuffed Crab Shell, Cheese Stuffed Crab Shell that bring convenience to all busy office workers who wish to prepare meals at home after work. Everything is produced from sophisticated and hygenic technology with no added preservative, no artificial colour, no boric acid. Biogrow holds on the principle of providing good health based on the concept of Nature. From Nature to consumer, Biogrow launched “Re-Natured” Nutrients vitamins and minerals to the market. Biogrow put on continuous development of high quality products using the purest and natural ingredients, together with latest scientific research to create cutting edge formulas, innovative solutions to improve people’s health. 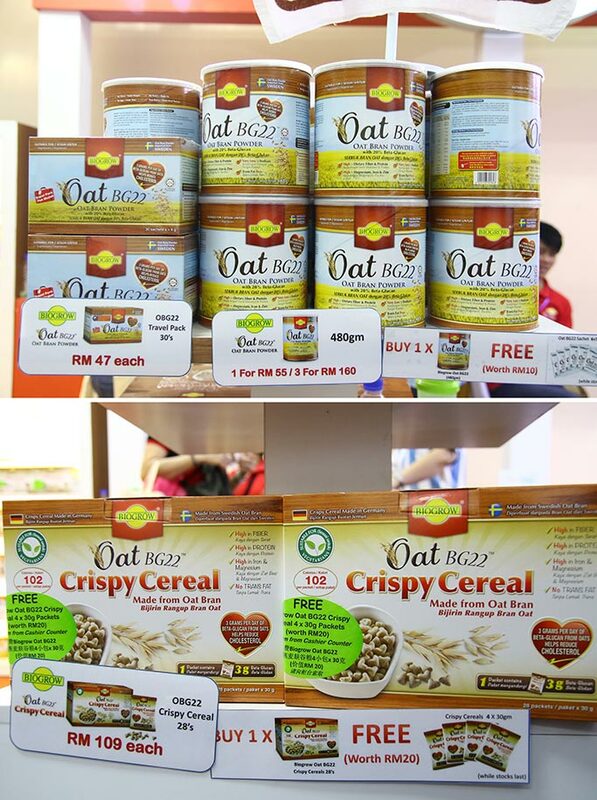 Oat BG22 Crispy Cereal is their latest product, made from Swedish oat bran and helps to reduce cholestrol if you take 3g daily. Tasty & crunhcy, ready-to-eat, packed with Beta-Glucan, Biogrow Crispy Cereal is definitely the convenient healthy food you can carry around with, and have it anytime. Narmak is a brand focuses on the growing, processing and trading on nut industry. They take high concern into the flavor, food safety and quality evident through HACCP program and Laboratory for each product, making it a natural fit with their mission to bring value to the final consumers and trading partners. 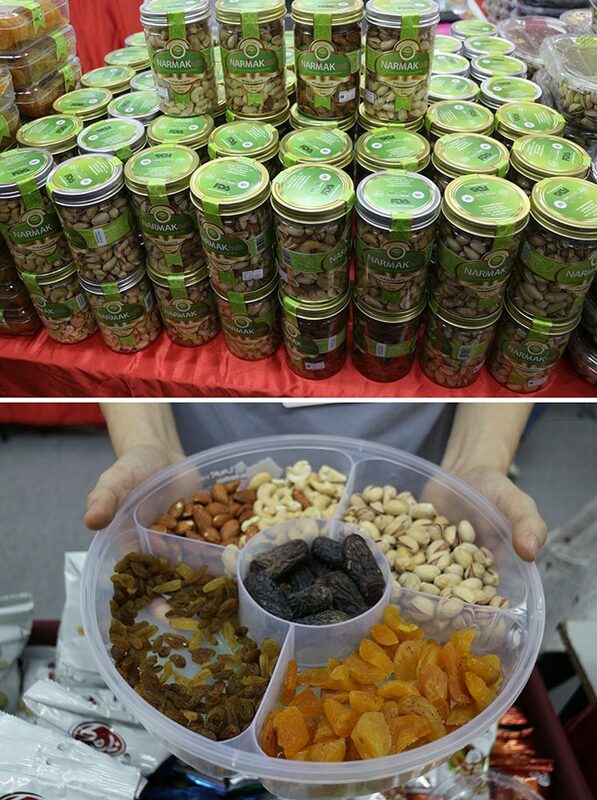 Narmak Nuts, processes, roasts, and packs Iran Nuts, especially pistachios both in shell and Kernels. Adds more Vitamin C to your daily diet with Ntrifres Gold Blackcurrent drink. With recommendation dillution ratio of 1 to 4 ( 1 cups of Nutrigold Blackcurrent to 4 cups of water), you will get 52mg of Vitamin C for each 100ml, which is additional 8% from other brands that serve similar blackcurrent concentrate drink. 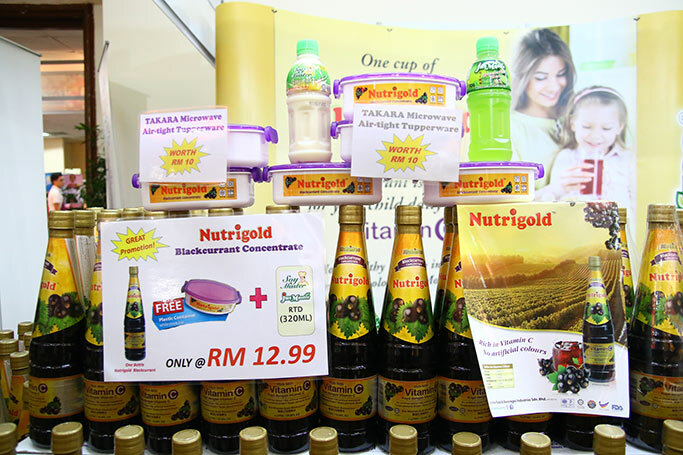 Now, at Tastefully Expo, purchase one bottle of 1000ml Nutrigold at RM12.99 and get one free plastic container and 320m Soy Master Jus Master. Delfi supplies quite a number of products such as Meiji Yum Yum, Meiji Galbo Chunks, Meiji Hello Panda, Melba Biscuits, Maretti Bruschette and Brown & Haley Chocolate. 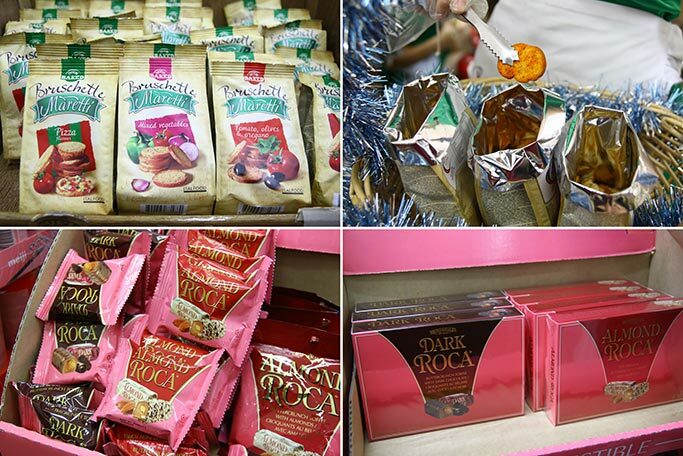 Among the highlights are Brown & Haley Chocolate originated from US, usually available in airport dury free shops but not in major hypermarkets in Malaysia. Delfi brings in this brand again, adding more chocolate selections to chocolate lovers. Priced at RM16.00 per box in Taste Fully Expo, RM3.90 cheaper than market price. Maretti Bruschette is highly recommended too. Oven-baked, it is healthier, but equally addictive as your potato chips snack. Comes in three flavours- Tomato, olives & Oregano, Mixed Vegetable and Pizza flavours. Famous in Beijing, Guang Zhou, Yun Nan, Xin Jiang, Shen Zhen and now, the flavours of Chinese Muslim by Flamo arrives at Kuala Lumpur. Grilled meat, or satay takes the limelight in Flamo, and is priced at RM1.20 per stick for chicken, RM1.20 for meat and RM3.00 per stick for Jumbo Lamb. 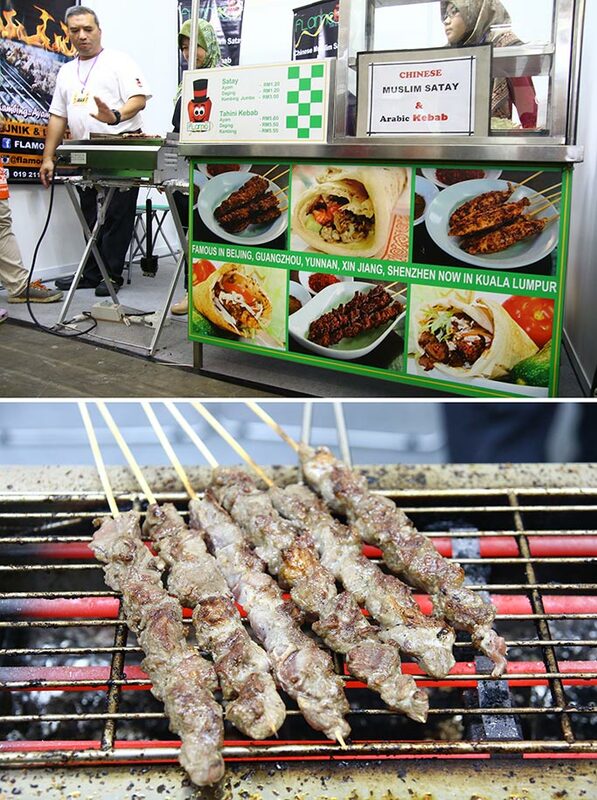 Tahini Kebab is available in Tastefully Expo too, and you can get them at RM5.50 for chicken kebab, RM5.50 for Meat Kebab as well as Lamb Kebab. 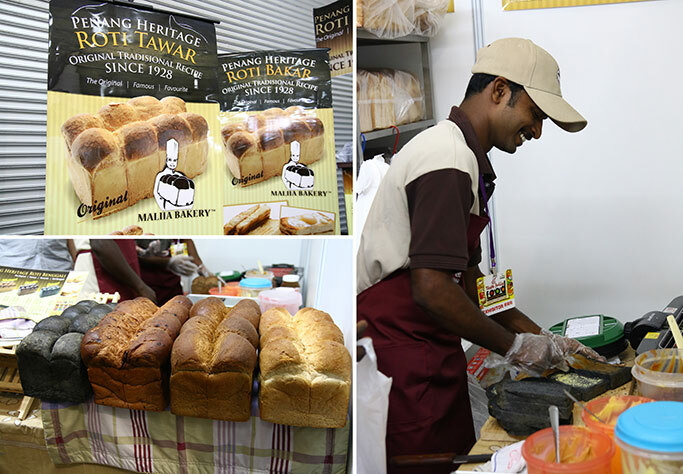 Hop over to the famous Maliia Bakery booth from Transfer Road Penang and bring home few loafs of Roti Benggali and soft buns! Slice and toast, then smother kaya jam or butter over. Enjoy the crispy outside, fluffy and airy soft inside texture together with creaminess of kaya and butter. Eating alone without spreading jam over is as good. For Roti Benggali, choices available are Orignal, Wholemeal, Chocolate and Charcoal flavours; priced from RM2.50 onwards. With more than 16 years of experience in tofu industry, Everbest is prides to announce themselves as the master of making tofu. They possess newest technology and automatic tofu machine in making tofu; holding international standard of hygiene production. With all these modern technologies, Everbest claim to produce better quality of tofu that has no coloring, no artificial flavouring and no preservatives added. Only 100% natural and non GMO (genetically modified soybeans) are used. 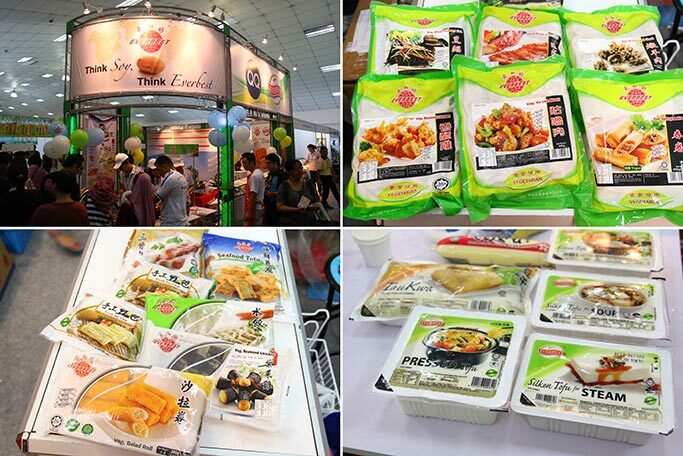 Silken tofu for STEAM, silken tofu for SOUP, Silken tofu for STEAMBOAT, pressed tofu, soy based vegetarian mock meats are available at promotional price in 7th Tastefully F&B Expo 2014. 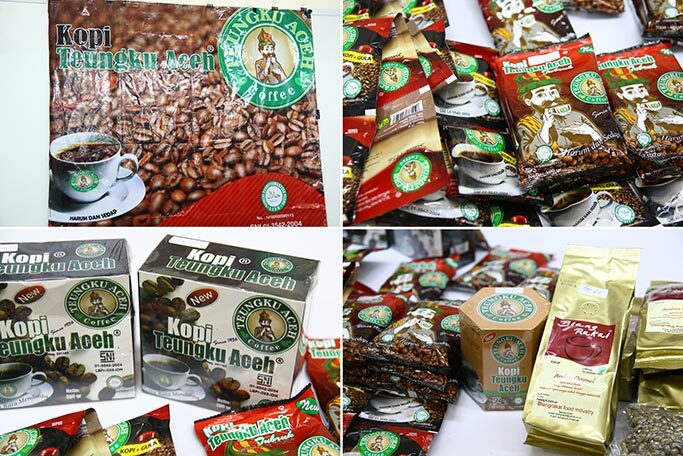 Coffee from Indonesia, expecting to come into Malaysia market by next year. “Harum & Sedap”, meaning “Aromatic and tasty” is what they wish to highlight for their coffee, which is introduced since the year of 1956, using beans supplied by farmers from Aceh. In the mean time, check them out at Tastefully Expo. Hall 2, PWTC, Kuala Lumpur.